Over the last year or so, Timor-Leste has been confronted with a significant number of political novelties, the positive effects of which are reflected in the last Freedom House index “Freedom in the World” where the country has finally moved into the club of “Free Countries”. If the move has long been expected, the reasons evoked – the success of the 2017 round of elections – are far less so. Major changes started roughly a year ago when the two largest forces in the country – the historical Fretilin and the charismatic leader Xanana’s CNRT – joined forces in the first round of the presidential elections to support the candidacy of the chairman of Fretilin. In the previous three elections, the two forces had opposed each other, and twice (2007, 2012) they had faced each other (if only by proxy in terms of “independent” candidates supported by CNRT) in the electoral run-off. In 2017, however, the fact that the two parties supported a “Government of National Inclusion” formed in early 2015 and expected to last well into the next legislature, created a different situation. Francisco Guterres Lu Olo easily won the presidency in the March election. He was the first President to be affiliated to a political party. Legislative elections were held in late July, and the parties supporting the outgoing government (except for the small Frenti-Mudança) did well, winning close to 70% of the vote. Fretilin was the winner by a mere 1,000 votes. Two new parties – one formed by the outgoing president, Taur Matan Ruak (TMR), before leaving office (PLP), and KHUNTO, whose roots are in the new generation and has close links to important martial arts groups – both of which opposed the strategic options of the government, obtained 10.6 and 6.4. percent respectively. It would seem that the conditions were ripe for the continuation of the Government of National Inclusion. However, one of the critical conditions for the creation of such a government – that the old guard, the Gerasaun Tuan of those who had lived the critical period of 1974-76, would gave way to the Gerasaun Foun of those who came of age under Indonesian occupation – was soon questioned when Fretilin’s secretary general and actual leader, Mari bin Amude Alkatiri, claimed the right to be appointed prime minister. Both CNRT and PLP declared they would rather sit in the opposition, and spoke vaguely of providing confidence and supply to Fretilin’s executive. Fretilin announced it would seek a broad coalition, but faced great difficulties when it came to talking to Xanana and TMR. With two major players now feeling free to act against the government, President Lu Olo felt compelled to intervene and promoted a meeting in the presidential palace with himself, Xanana, TMR and Alkatiri. But he was not able to convince Xanana or TMR to accept Alkatiri’s terms, nor was Alkatiri willing to change his mind on the conditions under which he would form a coalition with CNRT and/or PLP. Fretilin negotiated then with two smaller parties: PD (a member of the last three executives) and the newcomer KHUNTO. While negotiations were happening, the three of them joined forces to elect the Speaker of the House, a member of Fretilin. But further agreement could not be found with KHUNTO, and it abandoned negotiations. As a result of this brief period of collaboration with KHUNTO, Fretilin – which had polled just under 30% of the vote – managed to control the three leading figures of the state – PR, PM and Speaker of the House. This is in sharp contrast with the recent history of institutional equilibrium and power-sharing in which “independent” presidents had a major role. Lu Olo invited Alkatiri to form a government. When he came back with his government proposal, it was based on an agreement with PD alone, which together were supported by 30 out of 65 seats in the House. Thus, it was a minority executive. At that time, the three other parties had not yet formed an alternative alliance, which offered some room for a positive expectation regarding the minority government. The president could nevertheless have asked Alkatiri to find a sounder basis for his government by including members of the opposition parties (PLP expelled two of its militants who accepted jobs in the government) as well as respected independent figures like former PR and PM José Ramos-Horta (JRH). However, the leader of Fretilin insisted on moving ahead with the minority government, admitting that either the opposition would not block the way in the House, or that some opposition MPs would defy their party’s stance and abstain. So, on 15 September, Lu Olo agreed to put all his political (and not merely institutional) weight behind a government that was sworn in that day. The Constitution offers presidents room for the choice of the prime minister (as JRH did in 2007 and TMR in 2015), but it stipulates that the government must undergo a parliamentary investiture vote. The government must present its program before the House within 30 days of being sworn in (Art. 108.2), and during that period it is merely caretaker cabinet not being entitled to take major political decisions. There is no mandatory vote on the program, but both the opposition and the government may take action: the former proposing the rejection of the program, the latter proposing a vote of confidence (Art. 109). In Dili, in October 2017, the opposition – now formally comprising CNRT, PLP and KHUNTO which had formed a Aliança para uma Maioria Parlamentar /Aliance for a Parliamentary Majority – AMP) – moved to reject the government’s program and it won 35 to 30 votes. For the first time in Timorese history, the government lost a vote in the House. However, the Constitution offers new governments a second change of submitting a revised program before it implies its dismissal (Art. 112 d.). So far, all was within the constitutional boundaries. Henceforth, the process would derail and move into wild institutional territory. Although the Constitution does not explicitly refer to any deadline for the second presentation of the government’s program, it is assumed that it cannot take longer than the original period of thirty days. Alkatiri, however, suggested he would need ”until the end of the year” (i.e., two-and-a-half months) to resubmit its program. More than that, he assumed the government was fully invested (which was a false premise) and capable of full powers. In this vein, he submitted a revision of the state budget – something that clearly goes beyond the powers of a caretaker government. In the end, the AMP parties used their majority to block such move. This governmental attitude was to be seen in other initiatives. For instance, in late January, the vice-minister for Education (Lurdes Bessa) decided to alter the legislation on a sensitive issue – the use of native languages in school – arguing that “this may be our last bill but until the last day of this government we are working hard”. This position is not supported because it has not been supported by a parliamentary investiture vote. Once a month had elapsed since the rejection of the first program, and without any signs that a second version would be presented on time, AMP tabled a motion of no-confidence, which, if approved by an absolute majority of MPs, would bring the government down at once (Art. 112 f.). President Lu Olo could also consider that the government was in breach of its constitutional duties and dismissed it in order to “secure the regular functioning of institutions” which was patently the case. The most unexpected event was still to take place: the Speaker of the House refused to set a date for the plenary session to discuss and vote on the no-confidence motion, which in the overwhelming majority of parliaments takes precedence over other matters. Before such a situation, the opposition tabled a motion to revoke the Speaker’s mandate, in accordance with the House’s regulation (approved a few years ago with the active support of the current Speaker). The Speaker referred the issue to the Courts, where he lost in the first instance, but then made an appeal (still pending). In order to try and ease the growing tension which was being fuelled by radical rhetoric from both camps and by the clear deviation of National Parliament from its powers, the Speaker took two initiatives: in late December he wrote to the PM asking for the new government program to be submitted “within the next thirty days”; and he set a date – with the approval of the government – to discuss and vote the rejection motion for 31 January 2018, that is, two full months after it had been presented, suggesting that a rejection motion should be voted at the government’s discretion and not as a priority matter. This sequence of events constitutes an attempt to reduce the role of Parliament in the equilibrium of powers inscribed in the constitution, and it reveals that institutions are not functioning according to the law. As such, it offered ample grounds for the President to intervene, force the dismissal of government, and consider other alternatives: he could have invited the outgoing PM to try to reach another, broader agreement; he could have appointed an independent formateur to try to build a majority coalition including Fretilin; or he could have offered AMP a chance to form a government. He chose otherwise not to interfere, as his power to dissolve the parliament was curtailed until January 22, 2018, that is, exactly six months after the last parliamentary election. And early elections rather than a solution within the incumbent parliament was Fretlin’s preferred choice for resolving the political crisis in Dili. On January 23, Lu Olo called all the parliamentary parties as it is his duty before dissolving the House; next day he summoned the first meeting of the Council of State, an advisory organ whose opinion he is bound to seek, even if the Council has no binding powers (Art. 86 f.). And on 26th January he announced on TV that for the first time the parliament was dissolved and fresh elections would be called (though a date has not been set). The Chairman of the National Electoral Commission has stated that he is preparing the “machinery” for early elections (implying, among others, an update of the voting register), and suggested that more than the constitutionally necessary sixty days would be preferable to guarantee a modicum of quality in the electoral process. So, for the first time Timor-Leste will experience early elections somewhere between late March and May 2018 – and a new, fully installed government is likely to see the light of day around a year after the last parliamentary elections. As the country has not passed a state budget for 2018, it must live with a copy of the 2017 one – and this may generate several problems, not least in the amount of money spent on the electoral process. It will take the goodwill of the opposition to vote in favour of various budgetary measures necessary to finance the electoral process. It is unclear whether the current government parties will form a pre-electoral coalition or not, or whether AMP will run alone. However, a new entity has been formed: 9 smaller parties who failed to pass the 4% threshold, but who together polled about 10% created the Forum Democrático Nacional/ National Democratic Forum – FDN). If they run as a pre-electoral coalition they may contribute to the rise in the number of parliamentary parties (in theory, by running together they might get one seat each) – and they have been severe critics of Fretilin and the way the process has evolved. If they run as FDN, life is likely to be more difficult for Fretilin. President Lu Olo chose not interfere when Mari Alkatiri failed to secure majority support in parliament (but then again, minority governments are legitimate). Later, when the process of the government investiture in parliament went completely off the track stipulated by the Constitution of Timor-Leste., he was deaf to cries that instability was threatening social peace, and that the economic rate of growth was slowing down significantly on account of instability and uncertainty of the political process. His silence and inaction was only broken when his party was about to suffer a number of humiliating defeats in the House (rejection of government, recall of the Speaker). Lu Olo’s recent (in)actions were clearly in tune with the options of his own party (favouring early elections) and in this way he broke with the traditional position of presidents in the Timorese system, who are not supposed to interfere in the party political arena. The future of his presidency hinges, thus, on the results of the legislative elections. Should Fretilin win, or at least be in a position to lead the future government, he will have a peaceful presidency, and his behaviour in the last months will be vindicated; should, however, the fate of Fretilin be different, he will have to face a period of true cohabitation with a group of parties and personalities whose rhetoric against the way he has behaved is quite aggressive – and he may feel the loneliness of the Presidential Palace. Let’s just hope that elections will be free, fair, and peaceful. This entry was posted in Asia, Timor-Leste and tagged dissolution, president, Timor-Leste on January 30, 2018 by Robert Elgie. Rui Graça Feijó – Timor-Leste: The return of “belligerent democracy” in the aftermath of the 2017 electoral cycle? A few weeks before the inauguration of the “Government of National Inclusion” headed by Rui Maria de Araújo and supported by all four parties with parliamentary seats – the VI Constitutional Government of Timor-Leste (2015-2017) – and anticipating its success on the basis of the inter-partisan cooperation set in motion after the 2012 elections, Agio Pereira, a senior minister and Xanana Gusmão’s right hand man, claimed in a newspaper column that Timor was moving “from belligerent democracy to consensus democracy”. Unlike the 2007 and 2012 presidential elections (which were in line with what usually happens in two-ballot elections), when political parties presented their own candidates alongside some “independent” candidates, entering informal alliances for the second round, in 2017 FRETILIN managed to guarantee the support of Xanana and later of his party (CNRT) to its partisan candidate, Lu Olo. In a sense, this was regarded as an extension of the government agreement and as a suggestion that the two parties intended to maintain their collaboration beyond the electoral cycle. Lu Olo was elected on the first ballot as the first partisan president of the Republic, succeeding three “independent” ones. The July elections returned FRETILIN as the largest party (23 seats) by a margin of barely 1,000 votes over CNRT (22 seats) – both hovering under 30% of the vote. PLP scored 11% (8 seats). Two other parties secured seats: PD, a junior partner in the outgoing government, has 7 seats (10%) and KHUNTO, another newcomer, 5 seats (6%). On the evening of election day, no one could say there had been any great surprise. But the next days would bring some. As a party formed to oppose the strategic options of the former government, PLP announced rather naturally that it would sit in the opposition. Its leader declared he would not take his own seat in the House, but would support his party stance. The major surprise came when Xanana announced he would follow the steps of TMR, moving his party to the opposition and leaving his seat in parliament. President Lu Olo understood the delicate nature of the situation and went beyond his institutional mandate to consult with all parliamentary parties (normally sending second-ranking figures to those meetings) and insisted on having FRETILIN secretary-general Mari Alkatiri sit with Xanana Gusmão and himself in the presidential palace. Lu Olo was not able to convince Xanana to accept the offers made by Alkatiri – although he pledged “not to obstruct” the functioning of institutions and exercise a “constructive opposition”. FRETILIN tried to make a deal with the other parties. It succeeded in signing an agreement with PD – a party it had long been on cold terms with. KHUNTO also joined the negotiation table only to withdraw at the last minute, apparently because no agreement could be achieved on the share of seats in cabinet. PLP also entertained conversations, but as it was denied its ambition to have the Speaker of the House, it reaffirmed its intention to be in the opposition with a “constructive attitude”. The rhetoric of “constructive opposition” and the hope the opposition parties would refrain from “obstructing” the functioning of institutions convinced Lu Olo that he could appoint Alkatiri to lead a government. It was a political judgement not grounded on any formal document. All that Alkatiri could do was to present the President and Parliament with the first minority government in Timorese history. To mitigate the lack of support from other parties, Alkatiri invited some “independent” figures (like José Ramos-Horta) and people closely associated with opposition parties to be members of his cabinet “on an individual capacity” – casting a shadow on the actual meaning of “political parties” in contemporary Timor-Leste, still characterized by strong personality disputes of which parties are extensions. Also for the first time, the President offered this government not only his institutional backing but also his political support. It was a bold move, perhaps a little too hasty, that bound together the fate of government with that of the president. It remains to be seen whether the fragility of the government does not interfere with the presidential political capacities. The three opposition parties presented and won (October 19) a rejection motion against the government’s program (35 vs. 30 votes). This was another première: never before had a government been defeated in the House. Alkatiri responded by saying “while some dance in parliament, we shall dance on the streets” – adding another negative note to the prestige of democratic institutions. Although not formally affected, the prestige of the President was politically tainted for being unable to anticipate and prevent this crisis. This is how the situation stands as I write. What will come next? The constitution prevents the dissolution of parliament in the six months following an election, which means that Lu Olo cannot dissolve it before January 22. Then at least 60 days must elapse before the polls are held. And then another month before the parliament is inaugurated and the search for a new government begins. It could be late April before Timor-Leste has a normal government. The opposition may also allow the passage of the second reading of the government program – having stated clearly that they command the majority in the House and that at any moment they can present a motion of rejection and bring down the government. “Normal” life would ensue – but the fragility of the government would certainly be visible. How did we come to this precarious and fragile situation? Did the fact that Lu OLo is a party member interfere with the deterioration of the situation? Immediately after the results of the parliamentary election were announced, FRETILIN claimed the premiership, which it was to accumulate with the presidency. In the previous legislature, CNRT had given up the premiership in order to create a Government of National Inclusion actually headed by a FRETILIN cadre acting as “independent”. Expectations that a similar situation would emerge again were dashed by FRETILIN’s claim. FRETILIN then used its position to claim the Speaker of the House (having the support of KHUNTO, at the time still negotiating its position in a coalition government). So, within a few weeks, a party that controls less than 30% of the vote had accumulated the three most important state roles in the hands of its militants. This concentration of powers generated resentment in a country that has some experience of power-sharing – and the fact that Lu Olo was seen as part of the whole process, rather than as someone who would remain above the party fray as his predecessors had done, did not help to create a more stable situation. More than in the recent past, the impression one gets from the current situation in Timor-Leste is that institutions (namely the parliament) are a nice stage where little happens – the more important dealings are taking place behind the scenes, and they are dependent on inter-personal rivalries that have re-emerged. Together with those rivalries, “belligerent” democracy – which is not in itself an evil if it means the peaceful coexistence of government and opposition rather than a pot-pourri where everyone has a seat and no one is there to exercise control over the executive – seems to have made a return to Dili. The fact that the new president of the Republic is a member of one of the parties involved in this struggle and has not been able to carve for himself a position in line with his predecessors is, in my view, one of the main reasons why Timor-Leste faces instability once again. This entry was posted in Asia, Timor-Leste and tagged elections, Timor-Leste on November 2, 2017 by Robert Elgie. Last Saturday parliamentary elections were held in Timor-Leste. Provisional results show that the President’s party FRETILIN, the former resistance party has won the largest share of the votes, albeit not an absolute majority. Most likely and for the first time since independence a FRETILIN president and prime minister will govern the country. On Saturday morning polling stations opened for 750,000 people to cast their vote on 21 parties, vying for 65 parliamentary seats. Yet, just five parties managed to obtain parliamentary seats. The turnout was 76.74%, slightly higher than in 2012 (74.78%). The results indicate that the ruling parties CNRT, FRETILIN and PD have lost ground to the opposition. Dissatisfaction amongst the electorate is related to slow economic growth and alleged government corruption. Important to note is that in 2015 the CNRT, FRETILIN, PD, and Frenti-Mudança formed a government of national unity, which together held 57 seats in Timor-Leste’s 65-member parliament. This situation virtually eliminated opposition. During this all-inclusive power-sharing arrangement former non-partisan President Taur Matan Ruak acted as a national opposition leader, attacking the government in parliament over accountability issues in early 2016, and vetoed the initial version of its budget. Timor-Leste’s semi-presidential constitution states that the president appoints and swears in the party or alliance of parties with parliamentary majority after consultation with political parties sitting in the parliament. So, President Lu-Olo Guterres is expected to appoint to a party member to become prime minister when the latter manages to form a majority government. FRETILIN Secretary-General and former Prime Minister Marí Alkatiri has already announced that he is open to form a coalition with the CNRT, led by the popular former resistance leader Xanana Gusmão. “We will do everything to embrace everyone but we will continue to work with Xanana Gusmao, the inescapable figure of this country, in order to respond to the clear message from our people,” he told the Portuguese newsagency Lusa. If FRETILIN will share power with the CNRT, the key question will be whether opposition parties are willing to join a new unity government. Timor-Leste needs an opposition to hold the government to account. This is especially crucial when the president and prime minister are members of the same party. To be sure, in such a situation the president might be less inclined to act and oppose government policy. Following the promulgation of a new electoral law on May 5, 2017, the minimum percentage of valid votes that a political party or coalition must obtain to be included in the distribution of parliamentary seats was raised from 3% to 4%. BEUMAN, L. M. 2016. 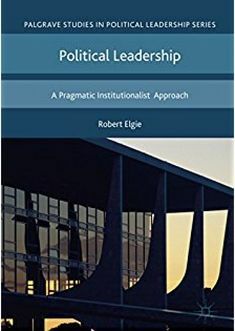 Political Institutions in East Timor: Semi-presidentialism and democratisation, London, Routledge. This entry was posted in Asia, Timor-Leste and tagged parliamentary election, unified government on July 26, 2017 by Lydia Beuman. Francisco Lu-Olo Guterres is one of the most powerful people within the ruling party FRETILIN. He joined the party in 1974, became commander of the party’s military wing during Timor-Leste’s war for independence and played a key role in the country’s transition towards an independent and democratic state. And unlike many other key political figures, he never gave up his FRETILIN party membership. Guterres, in Timor-Leste better known by his code name from the liberation struggle, ‘Lu-Olo’, was born on 7 September 1954. He describes himself as ‘the son of a poor family, of humble poor people’. Lu-Olo became member of the left-wing FRETILIN in 1974, the main party of the resistance throughout Indonesian occupation. After the Indonesian invasion of Timor-Leste in December 1975, Guterres joined FALINTIL, the military arm of FRETILIN. As a FALINTIL commander he was responsible for organising the resistance in the Eastern part of Timor-Leste where until today the party is hugely popular. In the resistance movement he worked closely with Xanana Gusmão and Taur Matan Ruak and with those living in exile during the occupation, like Marí Alkatiri and José Ramos-Horta. All were former FRETILIN members, but only Alkatiri and Guterres have remained loyal to the party. In 2001 Guterres was elected president of FRETILIN at the party’s first congress and has stayed in that role since. From 2001 to 2002 he headed the constituent assembly, the body that was responsible for writing Timor-Leste’s new constitution. Under his leadership, Timor-Leste adopted premier-parliamentarism, a semi-presidential subtype. In the constitution the president is the symbol and guarantor of national independence and the supreme commander of the defence force. The president is endowed with certain unilateral powers, such as the power to veto legislation and appoint officials, and has special powers in the area of defence and foreign affairs. FRETILIN had won the 2001 parliamentary elections and on Independence Day on 20 May 2002 the CA turned into Timor-Leste’s National Parliament with Guterres as president. He remained in this function until 2007, when following the parliamentary elections FRETILIN was forced to the opposition bench. Since 2007 Guterres ran three times for president but only his last bid was successful. Indeed, in 2007 and 2012 he lost the presidential run-off elections against Ramos-Horta and Ruak, respectively. With the crucial support of Gusmão and his own FRETILIN party, Guterres managed to win an outright majority in the first round of the presidential elections on 20 March 2017. In his victory speech, the president-elect promised to keep peace and unity as his primary goals of his presidency. “I’ll be president for all people in Timor-Leste, even those who didn’t vote for me,” he told a crowd of supporters. “I’ll keep fighting for peace and unity of our nation.” Yet, given that virtually all political parties are represented in a government of national unity, it is not entirely clear who, precisely, Guterres wants to unite. Perhaps the unity government anticipates that in the near future its policy of ‘buying peace’ will no longer be an option. Ever since the massive inflow of petrol dollars in the mid-2000s, the government has spent millions of dollars in social benefits to appease the so-called veterans who (claim to) have played an active role in the independence struggle. These well-organised trained guerrilla fighters have shown to be capable to create chaos whenever they disagree with government policy. The problem now is that the government is rapidly running out of cash due to dropping oil and gas revenues, so it may no longer have the financial means to buy off the potential troublemakers. The president-elect has announced to back the current government’s foreign policy direction when it comes to relations with Australia and Indonesia. This means that the current standoff between Timor-Leste and Australia over the exploitation of the Greater Sunrise oil and gas field will continue to deprive the state of the much-needed oil revenues to fill up the rapidly growing budget hole. Furthermore, those who are dissatisfied with the current unity government may find it difficult to cast their vote in the upcoming parliamentary election as opposition is virtually non-existent. Guterres will be sworn in as the fourth president of post-independent Timor-Leste on 20 May 2017. In 1974 FRETILIN was called ASDT (Timorese Social Democratic Association). Oil revenues make up 90 per cent of the budget and roughly 80 per cent of the country’s national income is derived from oil. It is estimated that the oil fields with production agreements will be depleted by 2025. This entry was posted in Asia, Timor-Leste and tagged Lu-Olo Guterres, president-elect, Timor-Leste on April 17, 2017 by Lydia Beuman.